Jenny co-founder of ADCID attended the ISAAC – International Conference in Montreal in 2008, with her sister Christine who uses Alternative Augmentative Communication (AAC). They were inspired by the accomplishments of other AAC users at the conference. ADCID (Aiding Dramatic Change in Development) had used participatory arts and theatre, to address community issues such as HIV/AIDS in South Africa since 2004. They developed special approaches, often working across language barriers using non-verbal approaches to explore themes. Jenny and Christine wondered if it would be possible to engage groups of AAC users, in creating participatory drama. Christine was part of the Communication Enrichment Class at North Yorkers Disabled Persons, in Toronto. Jenny and ADCID co-founder Stephen, approached the Class to see if they would like to explore the possibilities. We ran a session with members of the Communication Enrichment Class, to choose the thematic focus of the drama explorations. The group chose to explore: Relationships in the World of AAC. 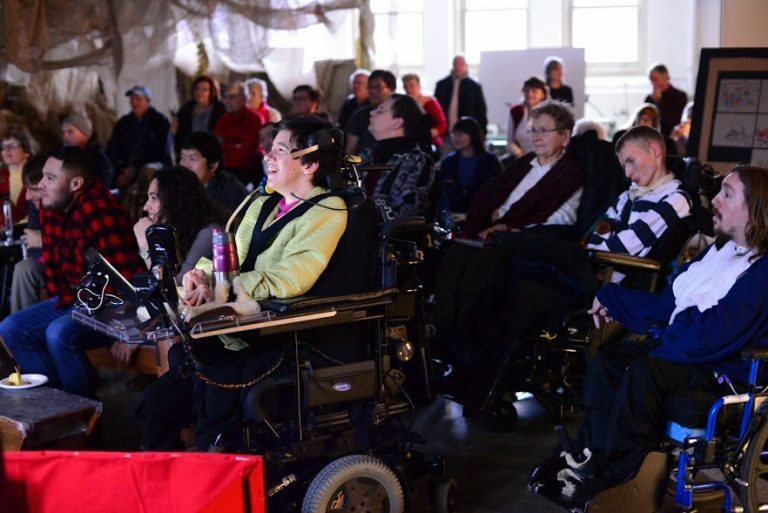 A 2-year exploration phase was funded by the Ontario Arts Council Over the 2 years we explored different approaches getting ongoing feedback from the class and Cathy Samuelson, the executive director of North Yorkers Disabled Persons. We worked extensively with creating around fires, and explored different musical approaches. There was interest to take this further, and we explored different approaches, getting ongoing feedback from the participants, and Cathy Samuelson the Executive Director of North Yorkers Disabled Persons. After Creating the Come to the Edge film, we had a sharing of the project, and video. Through our Imagining Possibilities Project, we have developed a style of creative improvisation, which enables community members with complex physical and communication challenges to express their ideas and create stories as an ensemble, in a way that is responsive to their physical realities. We call this Envisioned Scenography. We have developed a performance form where audience members are deeply engaged in the contextual environment that is created by the facilitation, community performers, and Envisioned scenography. The world created is directed entirely by participants, and is facilitated through a special facilitation process, which is continually evolving alongside the Envisioned Scenography. Members of the audience who use Alternative Augmentative Communication (AAC) can take an active role and become involved in the story. We see influence as a deeper level of engagement, beyond inclusion. In all our arts engagement work we structure and seek opportunities where community members go beyond “participating” but have real influence in the creation or discovery process. We use spatial non-verbal processes and metaphor to explore ideas, share experiences, and facilitate dialogue. 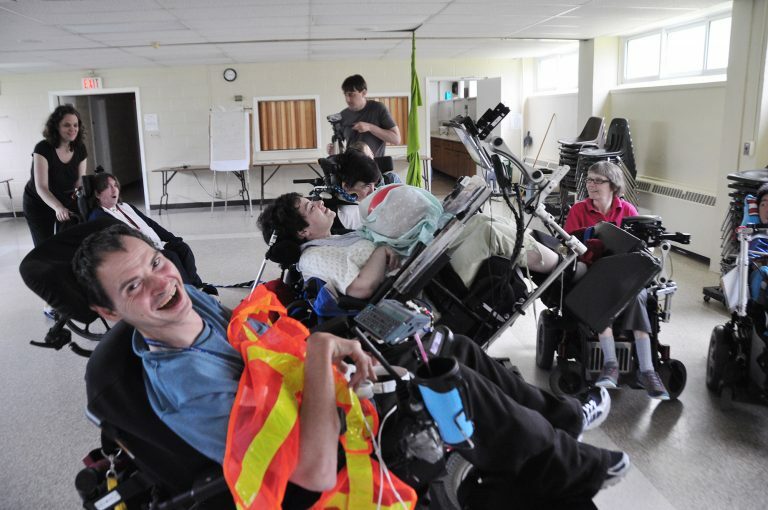 We nurture personal growth, a sense of inclusion and build community.